The Iran-Irak war lasted eight years: from 1980 to 1988. 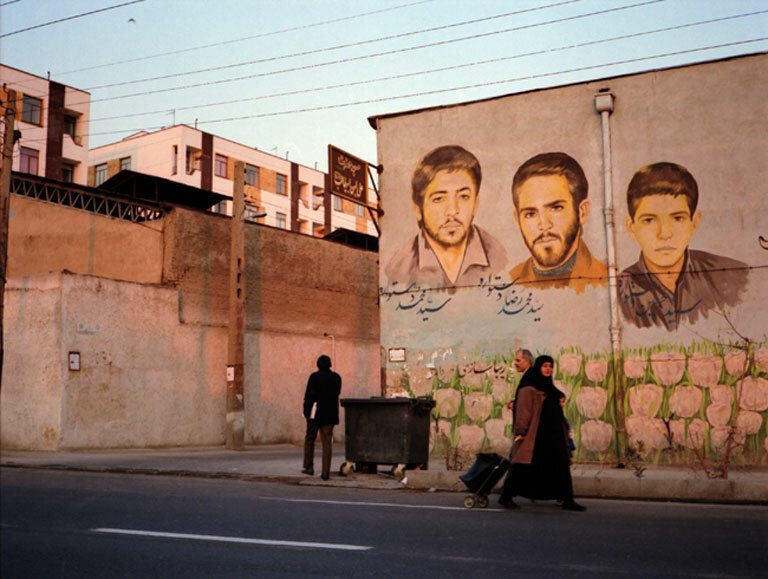 Enormous frescos of the faces of those who died in the war cover the walls of every Iranian city. These portraits exalt the “martyrs”. Today, seventeen years after the end of the war, a whole generation later, the martyrs faces are still a part of the urban landscape. They stand and watch over the city, so as to ensure the flame of the Revolution burns bright. The myth of a people united by the blood of its martyrs lives on. Just like in the direst wartimes… As if nothing had changed in this society that has nonetheless, for the most part, lost all its illusions with regards to the promises of the Revolution.